Realtor Roy Powell last month was helping his clients, two women in their mid-20s find an apartment in Seattle. They looked at seven places and narrowed it down to two -- a five-story building with a rooftop dog park and an air-conditioned gym, and a newly remodeled seven-story tower that won their business by throwing in a year of free underground parking, normally $175 a month. 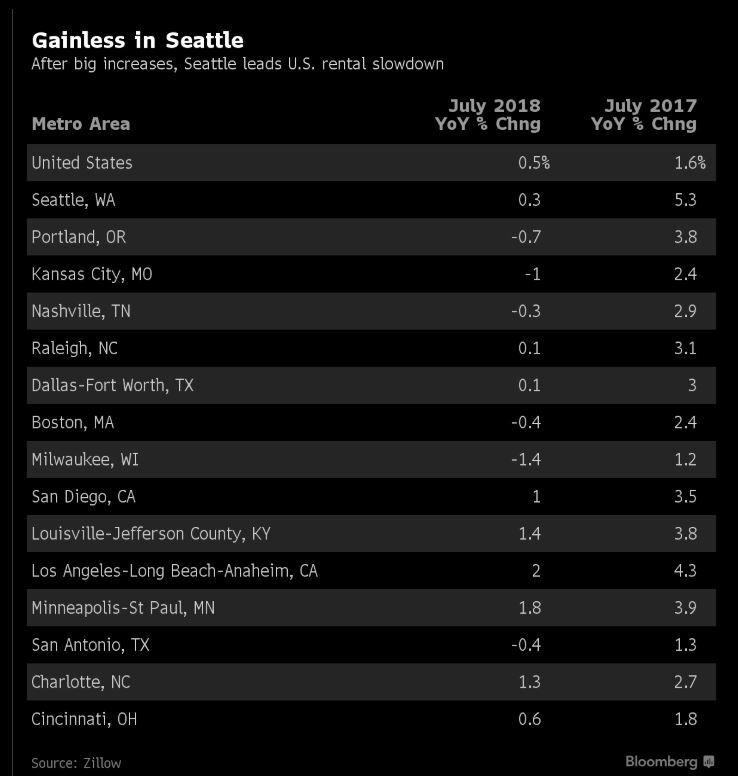 In Seattle, another factor contributed to the glut of rentals. While the city is in the midst of a building boom -- with more cranes dotting the skyline than any other in the U.S. -- much of the residential multifamily construction has been apartments. Developers have shied away from condos because of state laws that allow buyers to more easily sue if there are defects in the construction. 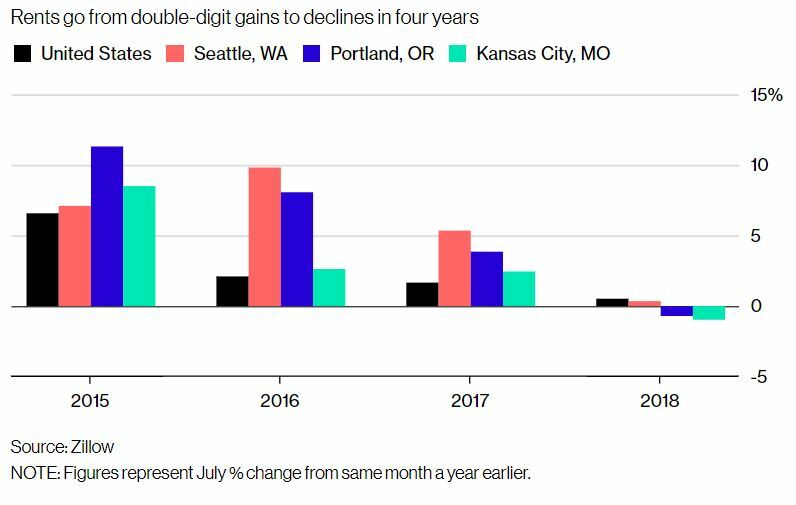 "What’s interesting is that cities that suffered the least in 2007 and 2008 -- Dallas and Denver -- now are experiencing the most exposure to risk," Johnson said. "It’s both supply and demand," Terrazas said. "There has been a lot of construction and investment in rental. But there is also softer demand."